Welcome to another episode of the Bonfires of Social Enterprise. This is Romy, and we have some good stuff for you today. 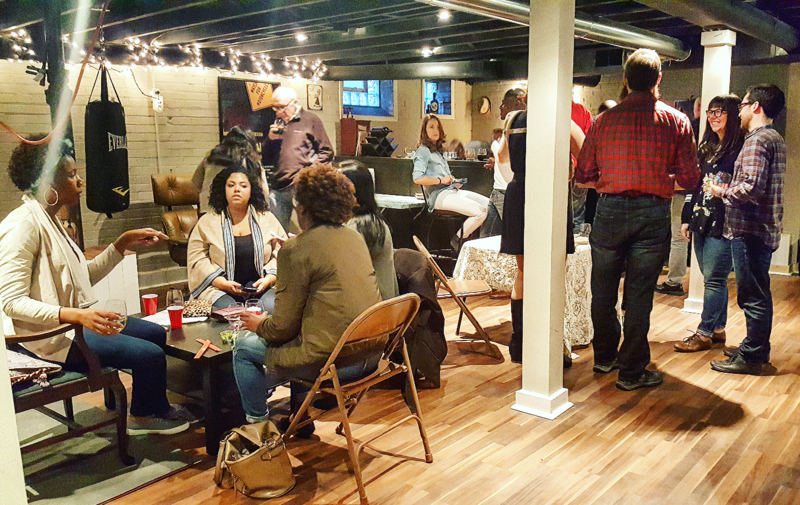 Jay Rayford of Social Sushi catches us up on all of the changes in his social enterprise. He and his bigger team of four have been the champions of proving out your product through pop-ups! You will hear how they really built a large following before even opening their restaurant. And, after our interview, Social Sushi went on to win $150,000 toward their restaurant because the community was so inspired! And, as usual, we have a great song and Detroit artist for you to close out the show. We have a really great fun fuel for you today – super interesting. Our fun fuel today is from Natalie Hazen. What do you have for us, Natalie? Jay:	Yes so, super excited to be back with you again. So yeah so Social Sushi now, at this point has ... We have our building on Livernois and 7 Mile in a dynamic area that's full of homes from two, three bedroom homes all the way up to mansions all within less than a miles radius around where we're going to open. It's beautiful also because I live a few blocks behind the building as well. It's super exciting to be apart of the community in both ways both from a commercial perspective and residential. We've been doing house parties in the community as well so it's a way for us to one bring neighbors together that maybe haven't come together before and also for folks that live kind of like downtown or other areas that always like "I want to find out if like these awesome communities in Detroit, I hear about these neighborhoods but I've never had a chance to really explore them", it's an opportunity for them to come together too. By the way, this sushi's great like oh my God where you guys located? Oh actually we're on the corner, we'll be relocating around the corner. It's been an exciting journey to finally get to a spot where we have a great building. The folks that own the building are amazing people. They show up to all our events and things like that as well, so it's exciting to have that energy. We're hopefully going to be open around August timeframe. Jay:	Of 2017 and we're pushing for that, definitely, want to get open this year even if I have to open a little bit later just to make sure everything is right but this year is definitely it for us. Romy:	That's awesome. For the people who might have listened to your first one in season one, you were helping some kids look at the model of a shipping container. What happened with the kids working on the shipping container? How did you transition into this particular place? Jay:	The project with the shipping containers we were supposed to do a ... Hoping to build and design shipping containers that are created, built and designed by college and high school students. We were going to put it in the city park. Our rent was going to help maintain the park. That was the idea that we presented to the city to try and figure out if we could make that happen, but unfortunately, it kind of fell through for that particular project. We ended up moving on and start doing more popups and things like that, but the student project is still going on, so they're going to be doing a project on the west riverfront or possibly in the Dequindre Cut area. It's exciting for the students are still able to get that off the ground. It's going to be an amazing project. They are using more shipping containers I believe, and a lot of the students are getting college credit for being part of the project, and it's exciting for the students and everyone involved with it. During that time when we were kind of in limbo trying to figure out what's happening with that project we applied for Motor City Match and were able to find a building. Motor City Match is a program that pairs building owners with business owners and provides some technical assistance and also some loan providers at the table as well. We found a good position to be in and a great up and coming community. I think we're going to be calling it uptown pretty soon. It's between Avenue of Fashion and also another project that's happening on Livernois and 6 Mile with a lot of community development happening there University of Detroit and Marygrove being more [inaudible 00:03:50] in the community and developing together. Romy:	You're such a catalyst I've noticed about this since we met some years ago. You get people all fired up and off and spinning and onto the next thing. Let's talk about pop-ups for a minute. Pop-ups are one of my favorite ways to demonstrate that clients want to buy your product, but in my mind, you've taken it to a whole new level because you pop-up everywhere and you've been popping up for a long time. You've built not just a fan base of repeating customers, but you've gotten in front of a lot of people. I feel like you've mastered the pop-up and I'd love to get anything you want to say about what you've learned about popups because I think it's so beneficial to social entrepreneurs, well any entrepreneurs. Jay:	Absolutely. I like to refer to our popups is our minimal valuable product, our MVP. It's a way for us to test out like is this really what people want? It's been amazing because we've been able to deliver a sustainable product, a simple product. We don't do anything really extravagant with our sushi right now. 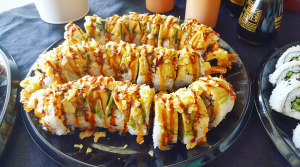 It's just really basic Cali roll, [inaudible 00:05:05], you know Philly roll. We have two kind of like classics that we've created at this point. One is called the What-up-doe roll that has Better Made barbecue chips where a chip company that's kind of known here in Detroit and made in Detroit as well as Rock and Rye sauce. Rock and Rye is part of the Faygo brand which is also a Detroit brand. We try and do some creative things to kind of like show the ‘Detroitness’ of our sushi right, so Detroit sushi brand is kind of a term we've been using lately. With the pop-ups, again it's a way to we want to bring people together but also from the viewpoint of the places we pop-up in so it's always been about how do we create exposure for other places while we're also building our brand and things like that. We're always looking for win-win-win situations. Whether it's in a bar we bring in food to their establishment and bring in customers that maybe haven't been to that bar before and they're able to make the money on the bar, we make our money on the food, and our customers and their customers are happy from this experience. It's a win, win, win situation in just about everything that we do. I think that's been ... I think not even the secret sauce but a sauce that I feel like really works well because when you're able to create value for other people that takes the relationship to a whole other level. Romy:	Let's talk about maybe the relationships especially I'd love to hear feedback of when you've been at a place, and you brought them business and how you continue to foster those relationships with not just I guess potential vendors or potential locations, but you also foster the relationships between some of the customers too right? Jay:	Absolutely. With the building owners, it's been everything from like say a local bars to art galleries to nonprofits doing fundraisers, things of that nature. Like I said the awareness for those spaces always continue so even beyond what we do with our popup, own relationship with them is always figuring out ways that we could plug them into other opportunities as well where folks are just like "Hey I'm looking for space to do an event, like you do events all over the place like can you connect me to some folks?" Like, absolutely. Because of that relationship that we have with the spaces sometimes we're able to see some amazing things happen that are independent of us but that's part of the magic I think of building a community around what we do. Even with the folks that come together, so when we first started the whole concept was around the problem that we were hoping to solve is there's some amazing people doing amazing things in their own circles all around the city and so what my goal was to pluck some people out from all these different circles and bring them together. I think naturally now we have just a really diverse group that comes together and when those people converge and meet it's just whatever happens right at that point, and I try to do it in a way that's not programmed. It's like hey come together [inaudible 00:08:16] you know there are folks talking and asking what type of sushi they had, and it sparked a conversation and things like that. Just really trying to bring some just real authentic, just natural way of networking without calling it networking. A lot of people have this kind of like detachment from networking like "ew I don't like being in a space with strangers and figuring out how to like what do I start talking about?" We enter food into the equation it changes things. It's been really great. Jay:	I think for me I think I'm in a kind of unique position to where I love networking. I'm always present in a lot of different spaces so like the relationship sometimes starts there like oh yeah I saw you at this place, you know I like oh you're doing an event? That kind of is a theme there. Even with at the popups that we were doing at Our Detroit we introduced a program called the Social [inaudible 00:09:30] Program. The whole idea behind that was it was because I wanted to test it out again MVP. I use an actually physical punch card which the top line was what I call the selfie line, so if you come in by yourself, we can give you a punch for coming in and think you for the support. At different levels, for example, every third punch there is some type of offer, and then for the groupie one, it was kind of similar but maybe like after five people you get something free or something like that. 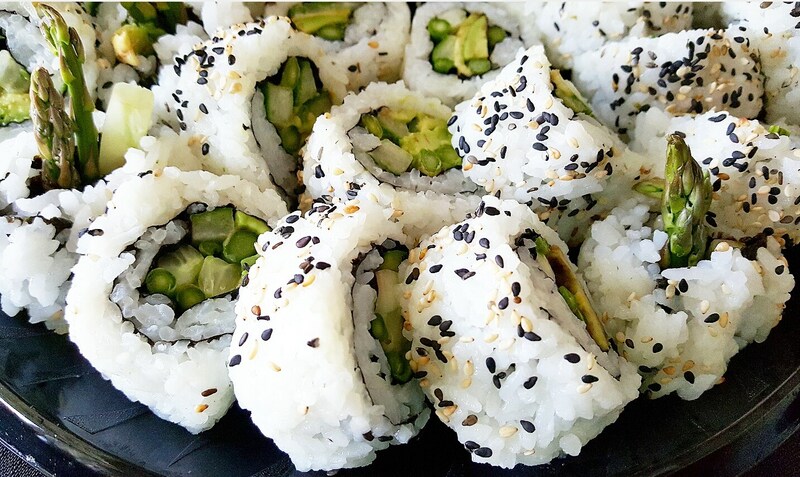 We wanted to create a way to get people excited about one, bringing their friends together but also if they [inaudible 00:10:11] maybe has this kind of detachment to sushi like "I don't know how sushi's raw" no it's not. Come check it out. Even if you want to just come have a drink or come for the networking piece you can. It's just some ways like that that we can incentivize kind of this social behavior through food. Romy:	And being inviting. You're really inviting and encouraging to people. I feel like you speak life into people all the time like oh you can do it. I think that doesn't hurt in any way. Jay:	Oh absolutely. I think a lot of times what I've always wanted to do is be approachable, be someone that someone wouldn't mind like "Hey I got this idea I just run it by you" and being open to "yeah, I have 10 minutes sure let's talk about it." Being able to connect some dots and share some resources because the other hashtag I use a lot if hashtag better together. I feel like if we do, with the climate of things that are happening here in Detroit, the best way to go about doing it is doing it together. Sharing resources, collaborations. So for our last pop-up, we had a Canadian deejay there which is awesome supporting that cross-border relationship. Also, a young entrepreneur that does t-shirts, a brand called Cool Club Clothing. He made these shirts that said Detroit Loves Sushi for us and sell them there at the event as well. It's like these okay you're doing a t-shirt brand in what way do I think I need t-shirts so what way can we work this together and expose you to our audience as well? And vice versa because he has a younger audience than I have and so it's like maybe we can introduce them to sushi as well you know, make it a cool thing. I think we need to just step back and kind of just look at networking as a way to build authentic relationships with people versus like what can I get from this person? It's just like who are you as a person? One of the biggest things I used to ask at networking events that threw people of was like "Hey, how you doing? What's your passion?" And quickly they want to say what they do for work, and it's like wait, my passion wow no one ever asked me that. I think it really is boiled down to getting beyond what someone does for a living or what can I get from this person but who are you as a human being? I just want to know about that. I think once you get to that point [inaudible 00:12:47] you have support system that's long lasting and they're going continue to share with their friends like "Hey you have to meet this guy" or "You have to go to this thing and get this experience because they're really great people". Everything from folks that have been part of our personal networks but also it's gotten to the point now where we attract people that we don't know ourselves. There's actually been times where I've been in the space where people will talk about Social Sushi and not know that it's me. [inaudible 00:13:16] that feels so great to be able to get to that point because it's become bigger than us. For some people, it's about the food but other people it's about the entire experience. If I can bring every level of the person together whether you come because you want to network with some folks and you already ate, or you don't like sushi or things like that you can still have fun in an environment where just people are coming together just to have fun, and maybe you know what? If I meet somebody great and we have start a friendship or start a business together or just support each other. Just to know where the things are happening in the city and being able to be in the know I think is a huge thing. Romy:	I do too. I feel ... Have you noticed people feel encouraged to team up and collaborate more once they've tried it? I found that to be true and I completely associate you with collaboration at all levels from promoting Detroit in general on social media to you're willing to go and speak at all kinds of things and teach people, and I just wonder, I'd love to get your thoughts on what you see from your perspective. 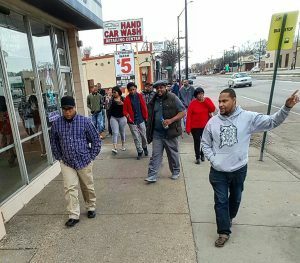 Are you noticing more Detroiters coming together from all different, because I notice different ages, different neighborhoods, different backgrounds, economic, some are native, some moved here, but there is, in my opinion, a collaborative nature and I think in a large part it has to do with you? I really feel like you've been a major leader here. Have you, I'd love to hear your thoughts about what you've noticed over the last four or five years? Jay:	Yeah, I think we've gotten to the point where we realize that we have to do this thing together. I mean we're better off if we're doing things together. The collaboration spirit, I think, is alive and well. I think there's still some skeptics out there that are just like no one wants to work together, and it's just like but I think the key is figuring out ways that we, that we figure out that we don't have to outshine anyone or someone doesn't have to be the leader of a thing. It's just like oh you have your thing, and I have my thing and what ways do we intersect opportunity at? I think that's probably the difference now then maybe in the past where folks wanted to be kind of like oh this is my thing, and you're just kind of a part of it, or this is our thing together. I think that's changing a lot more as people see that even from a you know, where the community standpoint or building a brand or trying to attract funding or anything like that. I think when you bring the numbers together, okay you have a support system; I have a support system, we can bring these people together [inaudible 00:16:07] they need to know each other because especially if they're different. I think people are interested in the cultural experiences that are happening in the city and the best way to get exposed to that is bringing it all to one space and inviting everyone to that one space. First just having a bunch of different things in other places but bringing it together gives people opportunity to understand what exists and then to be able to support it independent of that one event. I think it's an attitude about winning together. I think the term Detroit versus everybody had this negative connotation, but I think what people realize is like it's us together being able to say hey this is Detroit. It's not such a bad thing. Romy:	It's big, so we do need to ways to collaborate because Detroit is bigger than people think. Romy:	It's really spread out. It's a big place, and so you need a place to all come together and whether it's an educational event or sushi or your sushi seems to be at all events. Jay:	Yeah, it's funny we still run across people who are like "Okay, I don't understand there actually sushi at Social Sushi?" We still get that every now and then but I think it kind of speaks to us as not being pigeon-holed to being just a food thing but like we're really, now I want to call us a community, but we're a gathering place for our communities to come together. I think that we want to continue that as we move into our own space. That's something that we're also challenged to think about like how do we kind of keep that kind of excitement of kind of like you know, what our audience has gotten used to of us being a bunch of different places all the time. It's a way for them to getting exposure everywhere and what ways do we now start to bring that stuff in house. Had a monthly fundraiser for an organization and them being able to showcase what they do in our space to doing poetry, music, all those kind of things but still being able to do some catering and maybe some special events offsite on days that we are closed or whatever. Romy:	You've done like 150 some events right over the last how many years? I mean you've been at this for awhile. Jay:	Yeah absolutely. Since 2012 so definitely hundreds of events at this point. Probably equating to over 10 000 plus people that we've been able to bring together over time. Romy:	That's huge! 10,000 ... Like you've gotten in front of about 10,000 people just by doing pop-ups. Romy:	I mean you've definitely got a brand. Jay:	Absolutely. Kind of the message that I like to get out to the folks is that the popups gives me an opportunity, one is to see if this is what folks want but also for you to build your brand so once you open you already have a clientele versus trying to do that after you open. Trying to figure out how you get these marketing dollars to get in front of people now at this point because I think the issue has been in the past that you think that you'll just open a space and okay they'll support us because we're the new thing on the block, but now I think the best way for longevity and to sustain is to have those relationships built with the community already. That's as simple as if you recognize an area that you want to go to, show up at the community meetings and say "Hey, this is what I'm proposing to do. I would love to get community feedback and talk to neighbors". 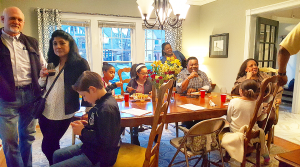 I think the house parties have been like crazy also for us because to see neighbors coming together that maybe didn't know each other is awesome. "Oh yeah, I live just three blocks down." "Oh, I'm right across the street from you. I didn't know". Romy:	We're such a bad society now with technology we don't don't know our neighbors anymore. Jay:	Oftentimes we go home and ... Especially when we're living these social lives and a lot of things going on like we go home to sleep, and that's about it, and then we're out and about. Sometimes we forget to kind of interact with our neighbors and things like that. Yeah, I mean just finding creative ways to step away from the business of sometimes to be able to focus on who are the people that I'm going to bring? How do I start to build a relationship with my target market versus just saying how I'm going to get a fire to this? Romy:	How do you feel that that building this audience this way minimizes the risk of someone opening a restaurant because it's well known in the industry, we work with investors all the time, so they're like "oh restaurants, they're risky" and then how do you feel like the way you've been building up popups is mitigated a lot of this risk specific to you building up an audience already? Jay:	For sure. I think a big part of that is the one the experience I have when it come to run popups but also once they able to have a great experience or make a great connection, now your brand is forever attached to that thing, that feeling that people have. That's the same thing that folks try to do with marketing and commercials and all that kind of stuff. You try to evoke the feeling. 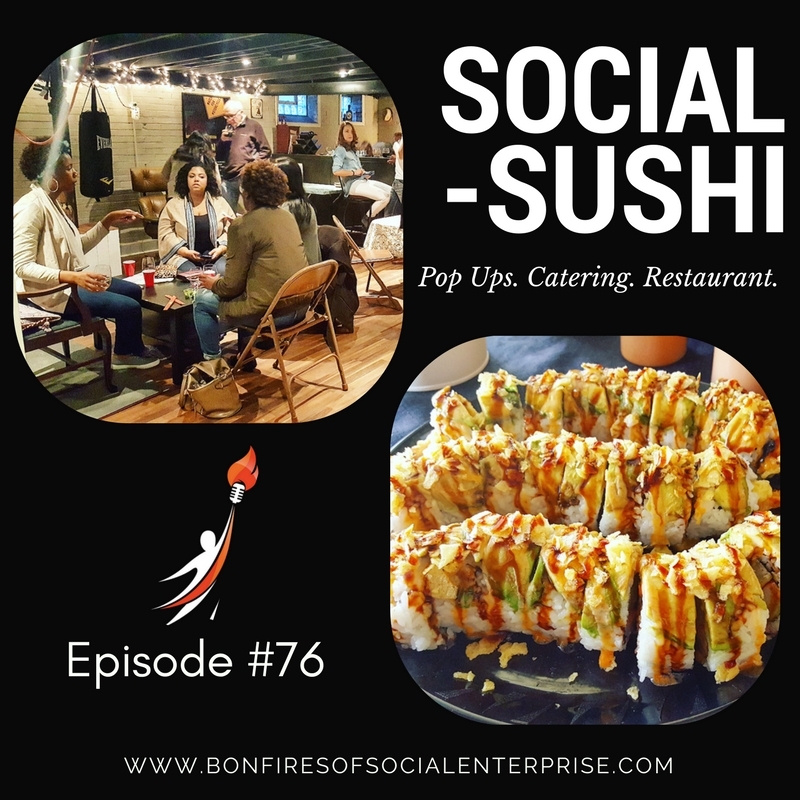 By doing the popups and being able to step away ... Because I think it's a different situation because I'm fortunate enough to have, I'm not the chef of our business, although if my chef is not available, I definitely do the sushi. I'm able to go around and actually talk to people and just ask them how their experience is, like "oh wait, do you guys know each other? Oh, you should definitely know each other" and those types of things like that. At that level it's still that touch with the personal touch thing is unique. Even when folks bring friends, it just like "oh this is that [inaudible 00:21:41] sushi. Oh my god it's so great to meet you." It's like everyone want to go where everyone knows their name. Jay:	You want to go to a place where you know the person that own that place. I feel like doing the popups are one such way of being able to do that. Naturally being able to open the doors and your grand opening is not just a media circus it's more so like I have my support network of our real customers and like hey you can come check it out before we open it to the public and like that attachment to it is just like you know, it's exciting. Romy:	It reminds me of the early stage bands and groupies when you're following along you start in the garage and you know their core fans are still there when they're on the big stage like we were there when you know. Jay:	Right. You have all the stories for your children like I remember they started from this and being able to tell that's their story and having people apart of that journey it makes them now become apart of that journey but also it gives them faith that they can step out and do something that they probably just dreamed of as well. It's just like I see what that looks like and it's achievable. I feel like I've been in a position where folks have said "You know what? Let me sit down and talk to Jay about this. I got this idea." Being able to help do that is a game changer I think. Romy:	I think people are afraid sometimes to say they don't know it all. Romy:	Don't you find that? I find sometimes I'm like "I don't know I haven't figured that out yet." And people are like "I can't believe you said that." I'm like "well it's my truth like I don't." Jay:	Absolutely. That's definitely something that I haven't been afraid to say. I'm more than willing to say "Hey I'm still figuring this thing out. I don't have all the answers." It's almost a catch-22 sometimes because I think what we've been able to build at this point and the brand that we have, I think a lot of people assume that we already have everything and like "oh you've got it all figured out" and like oh no, no we still need x, y, and z. We still need support. It's like not being afraid to admit that you need support or help. I think a lot of the programs that I've been through like the Build Institute, I did Retail Bootcamp with Take Town all that. Pretty much I feel like I'm programmed out at this point. There have been important opportunities for me to sit back and look at what I'm building but also to build relationships with other folks that are also in the building process. We come out of that program or class like a family, and we all support each other. Romy:	Colleagues that studied that together, yeah. Well, I feel like this is a good place to kind of end it for now. Let's give the listeners your social media and website again and any hashtags that you're using right now. Jay:	Yep, so you can find us at socialsushidetroit.com. 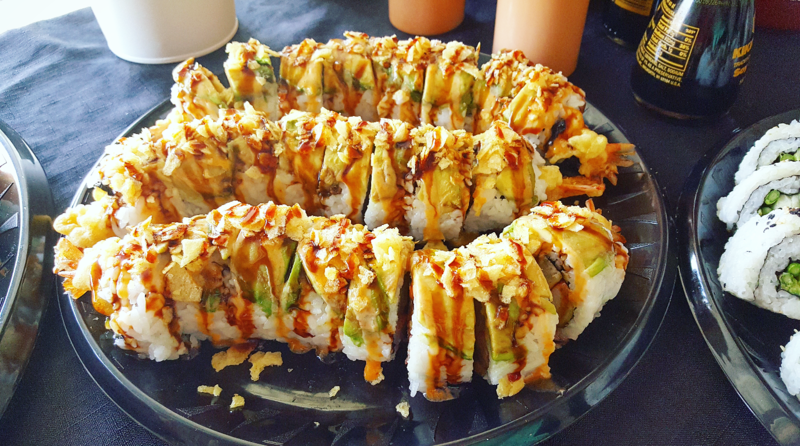 We're on social media Facebook at Social Sushi Detroit, Instagram @socialsushi, Twitter is Social Sushi DET, and the hashtags we like to use is our hashtag Detroit sushi brand, and often sometimes people catch us using hashtag feed your face because we just like to bring people together and feed their faces. Yeah, we love it. Romy:	Jay, you're the best. Once again, Assemble Sound provided us with a Detroit Artist and song. Here is ‘Hey Now’ by Kopelli and Tim.